Skip bins are the house clear out must-have. Regular household bins are fine for the everyday trash we throw out but when it comes to the larger home clear-out or garden landscaping, you need to book in a skip bin hire. Old toys, bric-a-brac, unwanted kitchen appliances and old and worn furniture all make way to the skip bin and so when it comes to finding one, you want to choose a hire skip bin Perth company that can advise you on the size of bin you need depending on the type of waste you will be throwing out. With so many waste bin hire, Perth companies to choose from, most people just pick the first one or the cheapest one they see. That is certainly an option but there should be more to it than that. How much rubbish will you be throwing out? It might be hard to estimate so the best bet is a skip bin hire that is one size larger. You will find that once you start clearing out your house and/or garden, you will end up throwing out more rubbish than you anticipated and a larger bin will prevent you from having second skip bin hire cost later down the line. The Greedy Bins team are more than happy to assess your waste requirements and advise the best Skip Bin size you should be using. 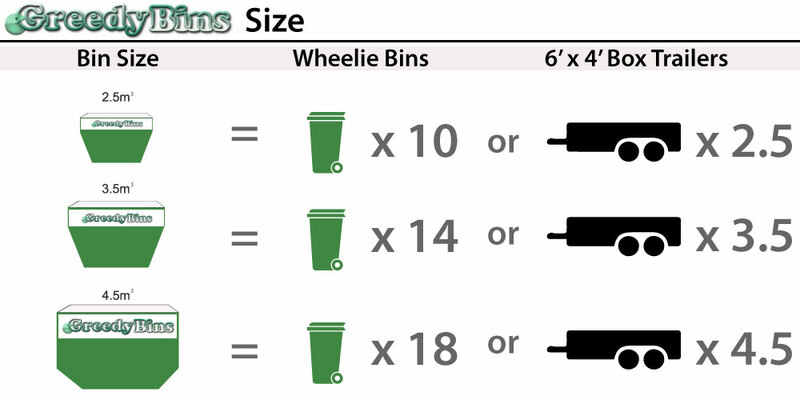 Greedy Bins offers a range of skip bins sizes and specialises in 2.5 to 4.5 m3 all of which will meet your needs perfectly. Not all bins are created equal. 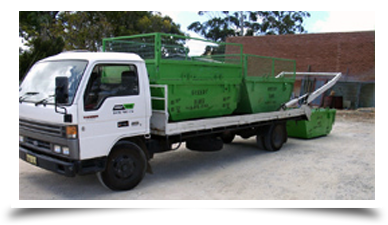 At Greedy Bins – small skip bin hire Perth, we take our responsibility to you and the environment seriously. Our Greedy bins classify waste in categories and we recycle or dispose of waste in the correct manner and in adherence to state guidelines and regulations. You want to choose a company that has hours of operation to work around your timetable. Greedy Bins are open 7 days a week from Monday to Sunday, from 7.30 am – 5 pm, including public holidays. We service areas in Wanneroo, Craigie, and Joondalup so you can be sure you will receive prompt delivery of your skip bin on the day and time that suits you best. Greedy Bins are a family owned and operated company that prides itself on a solid reputation for quality waste management and removal throughout Perth. Our friendly team is knowledgeable, professional and experienced. We are on hand to offer any advice and answer any questions you may have about skip bin hire, including the best size, type and where your skip bin should be placed to avoid damage to yours or neighbouring properties and in accordance to council rules. We pick up and drop off skip bins at any location and dispose of the waste responsibly and at prices that offer incredible value for money.